3 Biggest Design Mistakes to Avoid – MY DECORATOR – Helping you achieve your interior designing dreams! Colour consults, property styling. What if I were to tell you that there are 3 common mistakes that are easily fixed that could take your room from being blah to being wow? I don’t confess to have the magic bullet solution for your space without seeing it, but I can offer some advice of what I’ve noticed have been the main areas as to why a room doesn’t measure up from my years of designing and decorating rooms. I will preface this by saying like anything, “fail to plan and you plan to fail”. Definitely take the time to plan out your room, work out what interior style you are wanting to achieve in the space, figure out your furniture layout and know your measurements (this will help when you are shopping) create a Pinterest page so you can start visualising your look and developing your taste. “Fail to plan and you plan to fail”. When it comes to art, don’t be shy. Take the time to find art that you feel a connection too and be sure that it will fill the space you are wanting to hang it in. For instance if you are wanting to have some art for above your lounge, choose a size that is 2/3rds the length of your lounge. The subject matter of the art and it’s colour palette doesn’t necessarily have to perfectly match the rooms colour scheme as sometimes having everything matchy matchy can be a bit of a yawn. Then ensure you hang the art so that it relates to the rest of the furniture in the room and can easily be seen when you are sitting down and standing. From my experience I find that art is sometimes hung too high. The ideal height is centred at 1450mm high (see this blog post for the actual instructions on how to measure this out), this is what I’ve heard that art galleries use and I know that my art installer uses this height when he hangs my clients art. I cannot emphasise enough just how much hanging your art at a height that relates to the rest of the furniture in your room will make in improving the look of the space. Honestly get your tape measure out and get to work, you’ll thank me. I’d recommend that you buy your rug after you buy your lounges, this way you can ensure that the front legs of your lounges and accent chairs will comfortably sit on your rug. Sometimes I see beautiful rugs in lounge areas, but they are too small and then this impacts on the look of the space making it look a little cheap. You definitely don’t want to skimp on your floor rug. Be generous with it, as the rug lays the foundation for the whole look of the room. Rug sizes vary as do lounges, so buy your lounge first and then your rug and you’ll be set. Better still plan out all the pieces you intend on purchasing, pop it into a floor plan to make sure it all fits. Measure twice, buy once. The heart of your room isn’t made up of the furniture, it’s the decorator items, the cosy throw, the wow art, the mood lighting, the precious momentoes you collected on your last holiday to Europe. Think about how you can make the space reflect you, your’s or your family’s personalities, do you have a collection stored away that you love? Display it. Are you an avid bookworm? Create a reading nook and display your favourite books. I have a bespoke side table in my living room. My Father and Husband made it for me and I love it. It’s my design. The base is a vintage porcelain insulator that I found in my Uncles shed. The leg of the side table is a huge spring and the top is a tree trunk slice, both pieces from a visit I took to my late Grandfathers farm with other family members, we had a beautiful day exploring the farm that I’d heard a lot about but never seen. Sitting on top of the side table is a vase and trinket box that my late Mother made, that are also meaningful. I love looking over at this piece of furniture, each evening after a busy day as it carries meaning – it tells my story. So often people stop decorating too soon and wonder why their space is lacking. Keep decorating, take the time to source cushions for the lounge that you love, art for the walls that are ‘you’, decorator items that speak to you, meaningful bespoke pieces of accent furniture, indoor plants and fresh flowers to add life to the room. Mood lighting to bring beautiful ambience. Obviously, there are a lot of ingredients that go into creating a beautiful, well-functioning space – a lot more then just these 3 tips that I’ve shared but it’s always good to have a starting place, and if you get these ones right you will be well on the way. You will be amazed at how making these simple changes to your room will impact your home and how it feels and how it’s used. 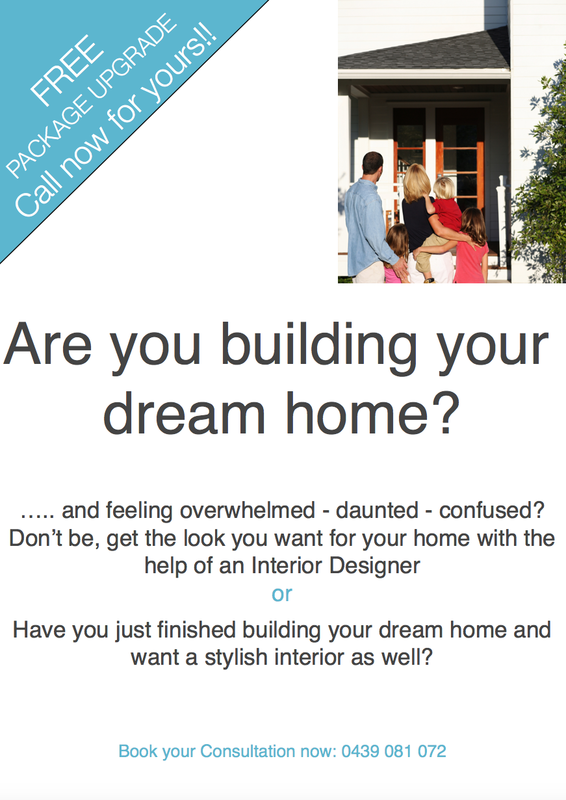 If you would like some help with your room or home please don’t hesitate to contact me, I’d love to assist you. *** If you would like to receive our blog posts in your inbox, you can do so here.